Fancy cheap parking all year round? We are proud to offer up to 60% discount on all day weekday parking with our monthly car park pass. That means you can park; all day Monday to Friday for just £60 per calendar month or all day Monday to Sunday for just £80 per calendar month. Our award-winning car park has help call points on all levels. The car park entrance is located on Headstone Road. There are 643 spaces available and parking is free after 6.00pm Monday to Saturday and after 6.00pm on Sundays. St George’s car park has been awarded a nationwide Park Mark®, which means it is recognised by the police as a parking area that provides a safer environment for drivers, passengers and vehicles. There are 26 Blue Badge parking spaces. We are proud to say that we have an active recycling and waste management initiative. Within two years we have increased the diversion from landfill from 2% to 99%. We currently recycle cardboard, plastic, paper, tins, glass and food. We have introduced mixed waste recycling to the public areas – paper, small cardboard, plastic bottles, etc. Our levels of energy consumption are important to us and we have been diligent in our efforts to reduce them. For example, we have installed LED lights in the car park. We are currently reviewing back of house and other key areas. We are yet to choose our charity of the year! 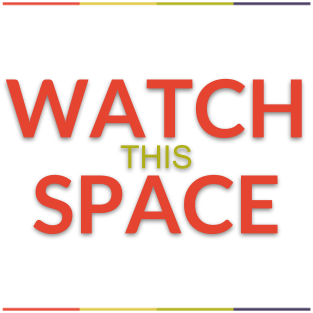 Please keep an eye out for any updates on who will be chosen as our charity of the year for 2019. We have photo booths located on the ground and first floors, two of which are for biometric ID photos – for passports, driving licences and 20 fun photo options and one non-biometric. Are there disabled and parent/child facilities available at St. George’s Shopping Centre?Situated in the Public Toilet block, on the second floor opposite Better Gym, there is one toilet operated by RADAR key. There is an intercom outside which will connect to the Security department for any disabled person to use, if they do not have a RADAR key themselves. The door opens outwards and the door is locked by a locking handle. There is an emergency alarm. The emergency pull cord alarm is fully functional. A baby changing room with nappy disposal is located next to the ladies toilets on the second floor, close to the public lifts.What access is available to the centre for disabled customers or families with pushchairs?All areas of the centre have wheelchair access via level surface or lifts. The main car park is accessible via the lifts. All access points are wheelchair friendly.Can I hire mobility equipment at St. George’s Shopping Centre?Yes you can. Shopmobility is a service that provides assistance to anyone with limited mobility in Harrow and the surrounding area, they are open Monday to Friday from 10:00 to 16:00 and the first Saturday in the month. St. George’s Shopping Centre is owned and managed by RDI REIT P.L.C.